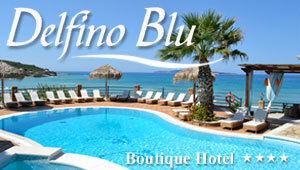 Kontogialos Corfu: Kontogialos beach is ideally located 13km western of Corfu. The area was a much preferred destination of the hippies during the 1960s. Today, in its present form it remains one of the most popular beaches of Corfu but for its unique surrounding and natural beauty. Kontogialos peaceful and relaxing moments to every visitor. The beach consists of soft sand while an undulating area of olive groves lies in the middle of the area. The beach offers all the tourist facilities that visitors might need. Some quality taverns located closeby serve delicious Corfiot flavors and local wine. In Kontogialos plenty of watersports activities take place during the day like water skiing and windsurfing for the most daring types. Buses ply regularly to the village while the beach is found with a short walking distance from the settlement. It is also worth mentioning that the beach has been awarded with the Blue Flag for its cleanness and fine organization.